Does your vitamin C serum has ferulic acid? I hear ya, ferulic acid isn’t that well-known. But it’s one of Vitamin C’s BFF (the other is Vitamin E). You REALLY need to use these three musketeers of skincare together. You know what BFFs are like… If you snub one of them, the other ain’t gonna forgive it. Vitamin C isn’t that vindictive. It’ll still help you fight wrinkles and give you a lovely glow BUT you won’t be getting the most out of it. Nope, it holds that out until you agree to let his friend ferulic acid join in on the fun. 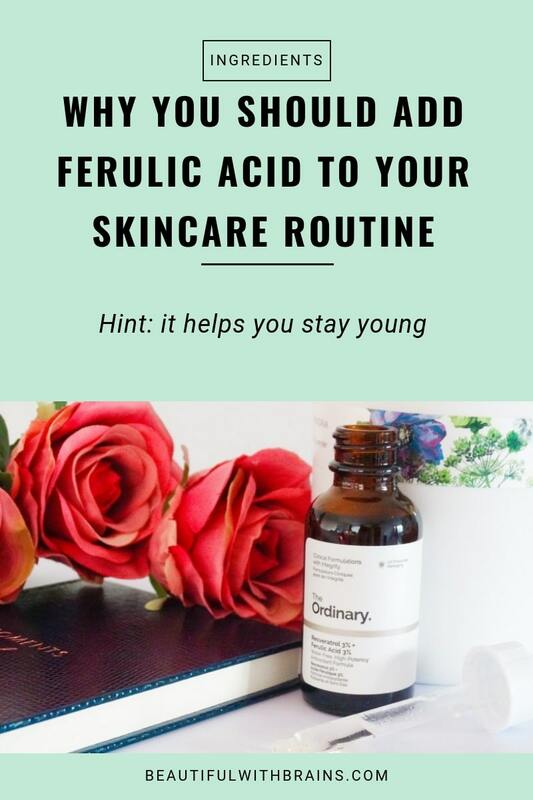 What The Heck Is Ferulic Acid? Ferulic acid is a plant-based antioxidant. You’ll find it in the cell walls of whole grains, coffee, spinach, orange, apples, parsley, grapes and many other vegs and fruits. Ferulic Acid is one of the most powerful antioxidants out there. There’s a reason why I always bang on about buying products that are loaded with as many antioxidants as possible. The truth is that there are many types of free radicals and each antioxidant usually only destroys one or two of them. So the more types of antioxidants you use, the more types of free radicals you destroy. Ferulic acid is a skincare superhero that goes the extra mile: it destroy three types of free radicals (superoxide, hydroxyl radical, and nitric oxide). That makes it even more effective than its BFF Vitamins C and E and Beta-carotene. Wanna know what makes ferulic acid, Vitamin C and Vitamin E best buddies? These antioxidants make one another more effective. Antioxidants are notoriously unstable but when used together, they withstand light and air better and last longer. They also boost one another’s antioxidant properties. 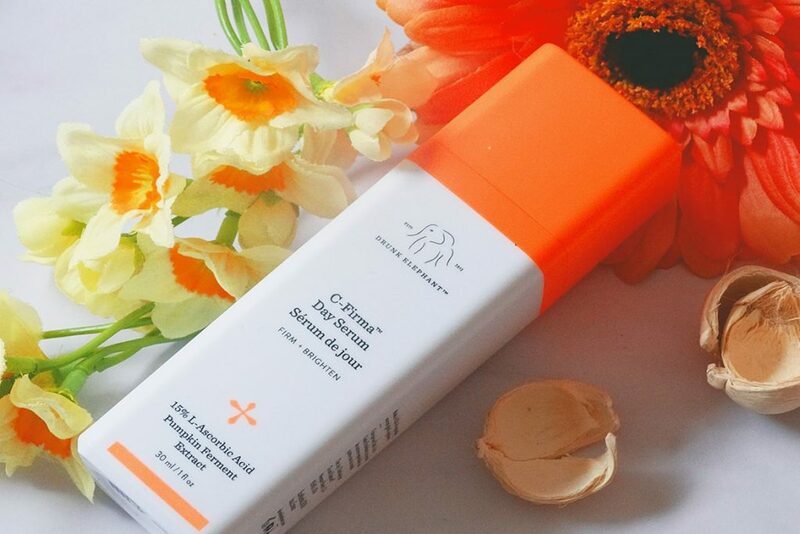 In plain English, when used together, ferulic acid, Vitamin C and Vitamin E double their own sun protection properties and help you fight premature wrinkles much faster. P.S. Ferulic Acid, Vitamin C and Vitamin E help you reduce sun damage but they are NOT a substitute for sunscreen. Ferulic acid has one more trick up its sleeve. Said in a way mere mortals can understand, it prevents your skin from producing too much melanin (the pigment that gives it its colour). Most people can use ferulic acid safely. But if you’re allergic to grains such as wheat, corn or barley, consult a doctor before adding ferulic acid to your skincare routine. Just in case. Ferulic Acid is a powerful antioxidant that helps fight premature aging, prevent sun damage and may even treat hyperpigmentation. But it’s when it’s used together with its BFF Vitamin C and Vitamin E that it truly shines. They three musketeers makes one another way more effective. Do you use products with Ferulic Acid? Share your fave picks in the comments below. 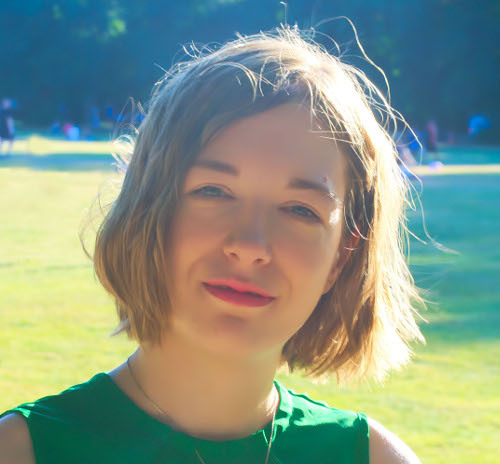 I recently ordered the Timeless 20% Vitamin C + E Ferulic Acid Serum from trusty Amazon. It should arrive this week! I didn’t know ferulic acid did THAT much and wow, the ingredient seems like a super hero! Now I have to learn about free radicals, not just antioxidants. :] Hooray! Really fun ingredients post. I’m so excited to try it! I told my English teacher about your blog (I have her for women’s literature) and she’s going to check it out! :] I told her your desert island books and she loves you already! I love these articles! Not only do I love makeup but I’m also a huge science nerd and I’m working on my bachelor’s in nutrition so these articles are very interesting to me. I also think it’s wonderful that you are educating the public about whats in our products. Amanda, aww thank you. I’m glad you enjoy this type of posts. It is so important to know what’s in our products and it’s a shame there is so much misinformation out there. There is also another option from Cosmetic Skin Solutions called CE Ferulic Combination Antioxidant Treatment – 1 oz / 30 ml – Super Combination Antioxidant Formula – 15% Vitamin C, 1% Vitamin E, and 0.5% Ferulic acid. I bought it from Amazon or directly from their web site. It is 39 USD andit is almost identical to Skinceuticals, but much cheaper. I am highly grain intolerant and suffer from severe migrains. Would ferric acid taken in capsule form affect me? Yollie, I personally wouldn’t risk it but you should consult a doctor about it. Hi I am halfway through a bottle of timeless vit c with vit e and ferric acid. I wish I had found out about it earlier. It is amazing and it has the same ingredients as those mentioned in this topic, except it has 20% vitamin c where the others have 15%. My skin is less lined, the dark circles under my eyes are lighter, my pores appear smaller and my jaw line is tighter. The best thing is it is a quarter of the price of the others. I use it morning and night and I store it in the fridge. Marie, thank you for sharing. I love that serum, too. It’s a great dupe for Skinceuticals and so affordable. 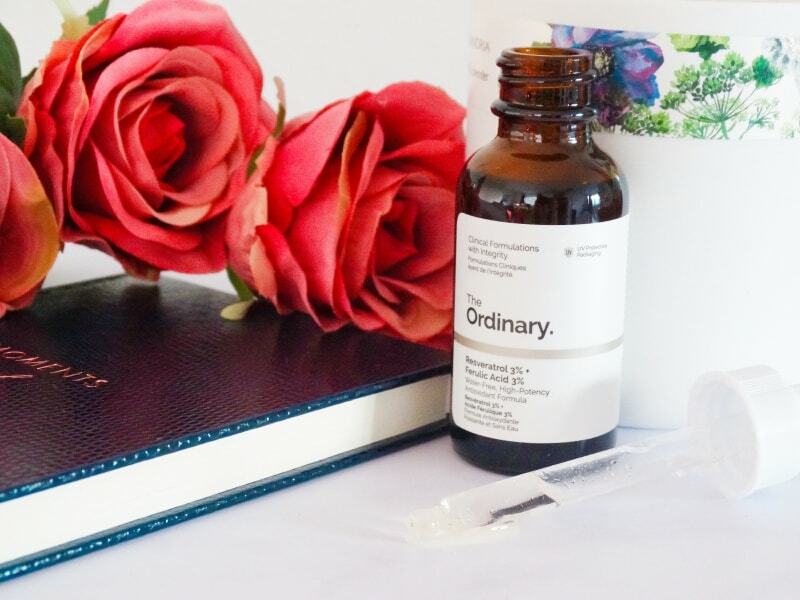 I have been using The Ordinary Resveratrol 3% + Ferulic Acid 3% at night and the Ascorbyl Tetraisopalmitate Solution 20% in Vitamin F in the morning. I really like both of these products, but are the products in your article comparable or more productive then the ones I am using? I have noticed brighter smoother skin with less breakouts with my current products. Tina, some people (like me!) like to have all 3 ingredients in one product for convenience. But if your current skincare routine works well for you, I don’t see any reason to change.